The separation of church and state in our country’s federal and state governments is one of the most appealing aspects of our democracy. Without it, millions of Americans would be forced to follow legislation created with their neighbor’s God in mind, and church donations could be funnelled to candidates, unfettered. The resulting legislation would ultimately infringe on the rights and liberties of many non-believers or followers of less popular religions in the country, as well as add millions of dollars in dark money to elections. If history is any indication, we know this would be a monumental mistake, and yet, Trump would do just that. While on the campaign trail in 2016, Trump revealed one of his more harmful pledges– to make it easier for those speaking from the pulpit to engage in political lobbying. The only thing standing in his way is the Johnson Amendment, “which prohibits churches and other nonprofits from donating and promoting political campaigns.” Last year, House Republicans attempted to repeal the amendment in a rider on the tax legislation that passed in December, but it was removed by the Senate parliamentarian for being unrelated to the budget. Unfortunately, Trump and his fellow Republicans in Congress may attempt to include language in the upcoming spending bill that would make it easier for pointed political advocacy from the pulpit. With Citizens United already having increased the amount of dark money in our elections, this would only exacerbate the problem. While some believe the church should not be silenced, the majority of citizens understand the importance of the separation between church and state. In fact, a poll conducted during the 2016 election cycle found that 66% of Americans believe “churches or other houses of worship” should not “come out in favor of one candidate over another.” If religious organizations and other non-profits do go against the wishes of the majority, or more importantly the law as presented in the Johnson Amendment, they face losing their tax exempt status and accruing fines. Trump considers this to be infringing on religious leader’s First Amendment rights, but the truth is religious leaders can speak about a variety of political issues. They can even support a specific candidate– so long as they do so in an unofficial capacity as individuals and not representatives of their church and organization. 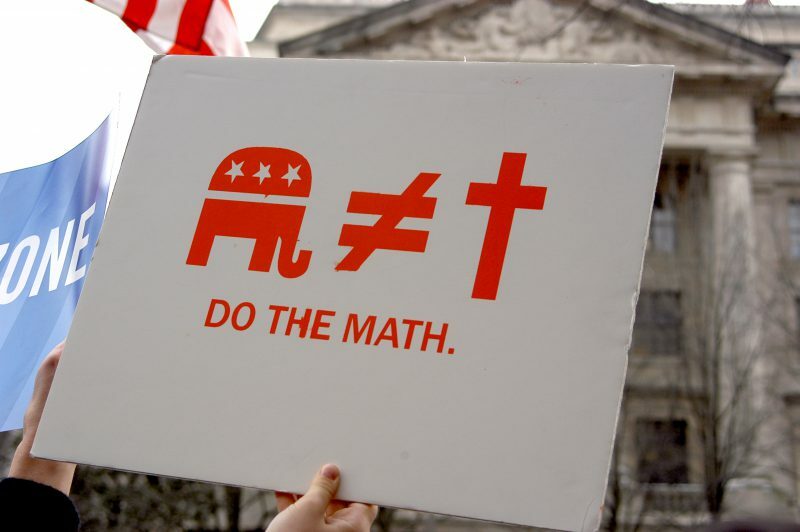 Otherwise, churches would become “the religious equivalent of a political action committee, using contributions from the faithful to amplify the candidates’ message at church functions.” However, unlike with regular PACs, church attendees would be able to contribute tax exempt donations to candidates under the guise of supporting their local religious institution or charity. Thus, rejecting this is not impeding free speech. Rather, it is ensuring candidates do not use religious affiliations to receive access to tax exempt, virtually unregulated funding. For over 60 years, the Johnson Amendment has worked to keep the church and state separate. It has prevented religious leaders and charities from distributing funds to political candidates as unofficial PACs, and has served as a refreshingly straightforward aspect of campaign finance law. Trump’s calls for repeal should alarm everyone, as the absence of the Johnson Amendment paired with the continued existence of the Citizens United ruling would only deepen the swamp the current administration has been so very concerned with draining.